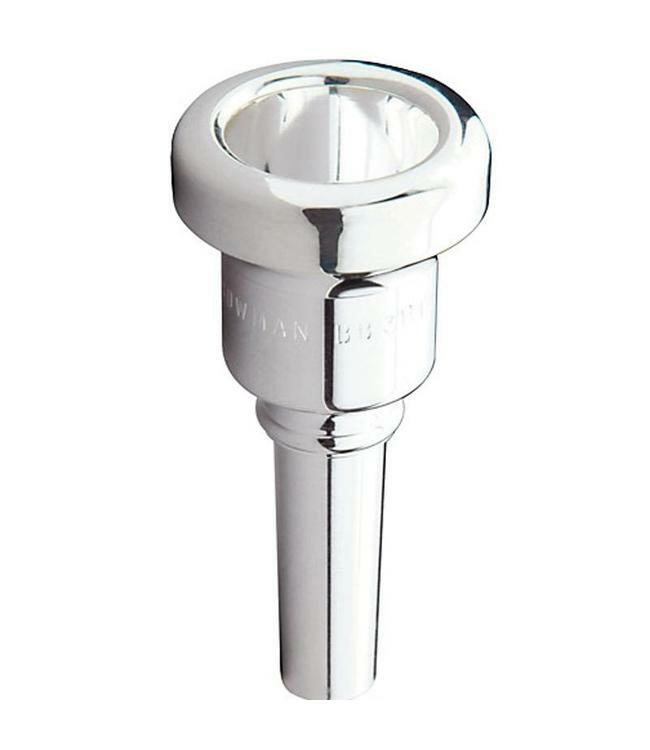 Patterned after a traditional mouthpiece, this trombone mouthpiece has a "v" cup design giving a full responsive tone quality. Not as deep as the number 1 model, it still produces a characteristic sound and response. A good mouthpiece for young players and also for use on the smaller English bore baritone Horn, this model provides an alternative to the often too shallow C cup trombone mouthpieces that are given younger players.